Halloween approaches and in the ancient capital of the Fens, Haley Thorpe is working as a costumed actor on a ghost tour. When one of the other 'ghosts' is murdered by a cunning device, suspicion falls on Haley—the only one unobserved at the scene. If that wasn't enough, Sean, the guy her parents think she should marry, is turning into a regular stalker. She doesn't want to date him. She's not sure she wants to date anyone at all, but does she have a choice? Can she and Rory—her posh house-mate—figure out the real murderer before she gets arrested? And can someone tell Sean that he's not all that before he starts breaking down the door? 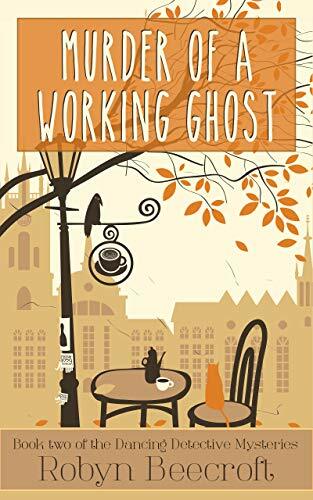 Murder of a Working Ghost is a cozy mystery that will appeal to fans of Jeanne M. Dams' Dorothy Martin Mysteries and Ian Thompson's Murder At The Jolly Jester. Readers who enjoy small town mysteries set in England will love this glimpse at the stranger side of village life, because you don't get much more British than spooky goings on in a cathedral town.